From the Prologue: The twin-engine plane had delivered me to a small air terminal at Springfield, Missouri, which was nearly empty. As I entered the terminal, I heard a woman whom I had never met before exclaim, "Here he is! I found him!" She led me to a waiting television crew, which began to film this historic meeting between me and the elderly gentleman who accompanied her. Dressed in western attire from his wide-brimmed hat to his cowboy boots, his six-foot frame retained a certain vigor that belied his years. When he saw me, a smile spread across his square face illuminated by alert, penetrating blue eyes as he extended a firm hand, molded by a lifetime of hard work. While the camera rolled, the interviewer plied us with questions about my search that culminated in this meeting. This is a story of a man whom I never got to know until he was eighty-one-years-old, my father. Nine Years In The Saddle is as the author relates, "a story of a man whom I never got to know until he was eighty-one years old, my father". 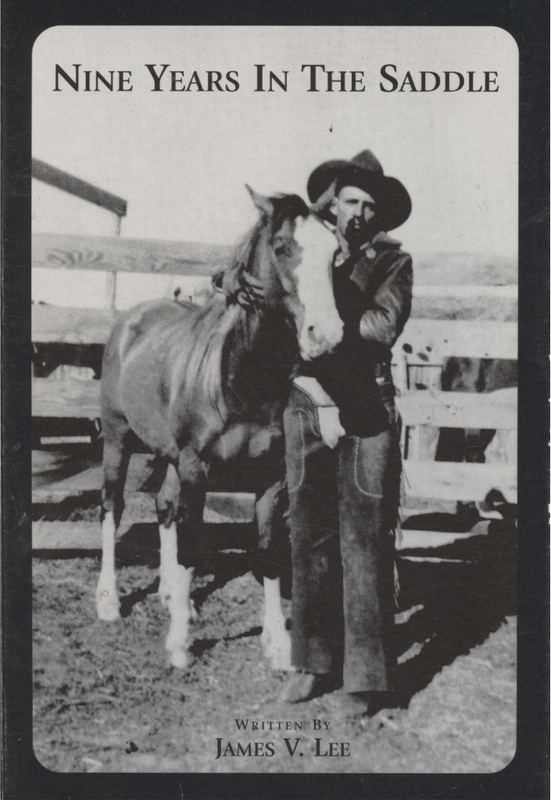 The adventures of that father are both in and out of the cowboy mold, offering many insights as well as actions of a modern cowboy, rancher, and rover. Very readable, exciting, insightful, tugs at the heart strings, two thumbs up! Steve Mason, Ph.D. I had planned to read the first couple of chapters and then skim the rest of the book. But by the middle of the second chapter, entitled 'Man Stuff,' I was hooked. Nine Years In the Saddle is a true-western from Salado Press that's easy to pick up, but hard to put down.